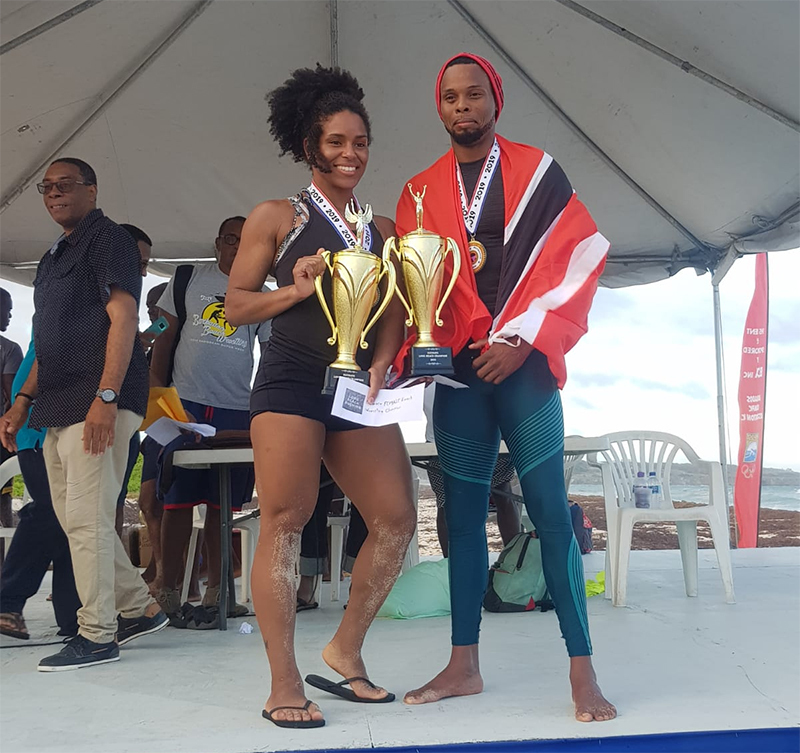 At the Longbeach Burning event on Sunday in Barbados, the Bermuda team captured another eight medals; 3 gold, 2 silver and 3 bronze medals. Twelve year olds Dominique Brown and Szaine Williams doubled their gold medal tally by winning their respective divisions in Beach Wrestling at the Long Beach event. Krista Dyer also won gold in the female division and was crowned Ultimate Long Beach Champion 2019. Nathaniel Thomas and Matai Phipps captured silver medals while Shaela Bailey, Ryley Mason and Quennel Robinson captured bronze medals in their respective divisions.